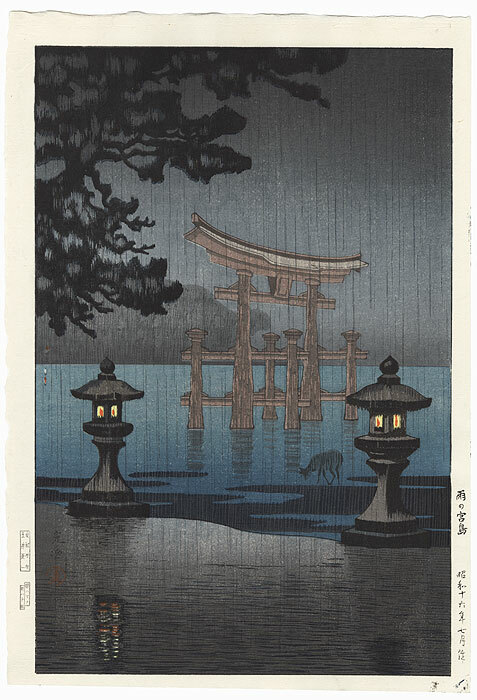 Comments - Lovely view of the famous torii gates at Miyajima during an evening shower. 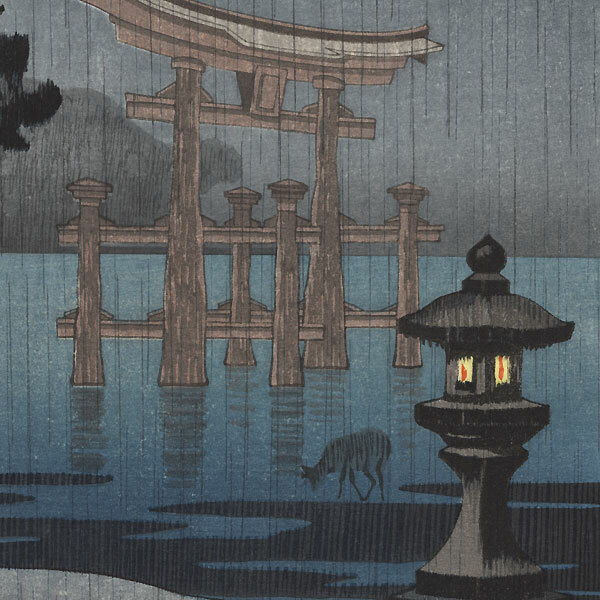 Flames flicker in the two stone lanterns framing the view, and a small deer pauses at the water's edge for a drink. 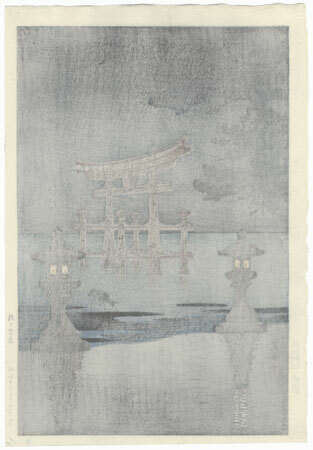 On the far shore, a single glowing window is reflected in the water's surface. A beautiful atmospheric scene with soft bokashi shading and wonderful handling of the raindrops. Would make a striking framed display.